All PW Circles welcome visitors and new members. Just call one of the hostesses listed below if you would like to join in this month. Meets the 2nd Monday of the month, February 12, in Fellowship Hall, Room B at 9 a.m. You may call Betty Lou South if interested in joining.. Meets the 2nd Wednesday of the month, February 14, at the home of Pat Sinfield at 7 pm. Meets the 2nd Wednesday of the month, February 14, at the home of Snaque Rollo. Brown bag at noon with the lesson beginning at 1 p.m. Meets the 2nd Wednesday of the month, February 14, in Fellowship Hall, Room B, at 9:30 a.m. You may call Marty Kixmiller if interested in joining. Meets the 2nd Thursday of the month, February 8, at the home of Linda Roggemann at 7 p.m. . 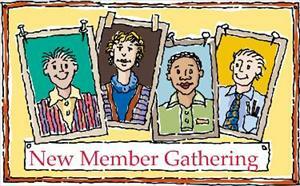 Meets the 2nd Wednesday of the month, February 14, at the home of Carol Main, at 9:00 a.m. Meets the 2nd Tuesday of the month, February 13, at at the home of Bonnie Ward, at 1:30 p.m. Meets the 3rd Wednesday of the month, February 21, at the home of Marty Mohler, at 9:30 a.m.
For meeting locations, call the church office.